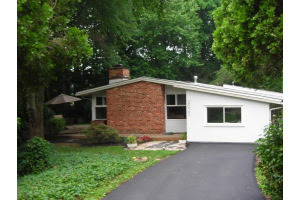 Here is a 2/2 renovated mid-century in Pine Spring in Falls Church. The house, which sits on nearly a third of an acre, features cathedral ceilings, a wall of windows looking onto the landscaped yard and a cool fireplace. Check out the listing for many more images.